It’s that time again (man, this is going fast!) Another Virtual Quilting Bee block. This block is so cool, with two variations that give it a completely different look. The design and tutorial are by Brooke Johnson of the blog Pitter Putter Stitch. 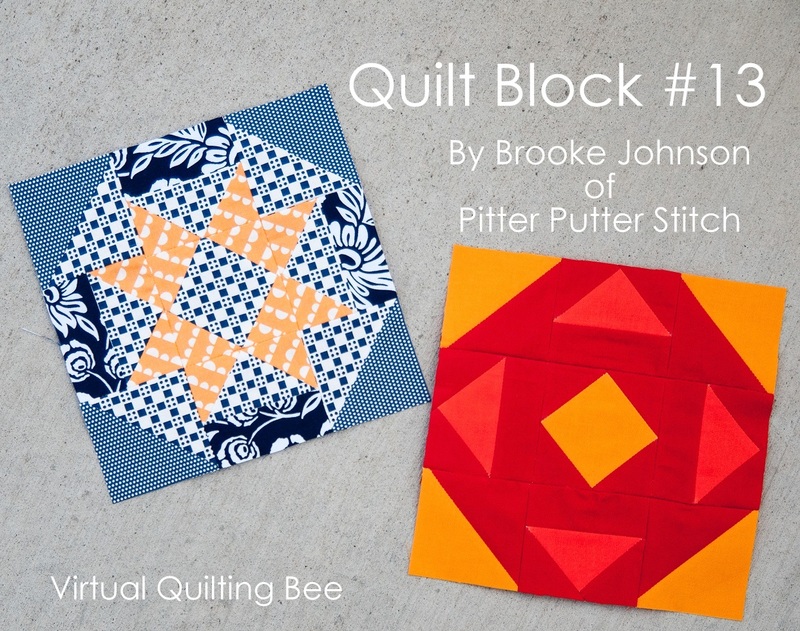 When you click over to the tutorial, you have to stay and check out Brooke’s quilts. She is amazing! As always, for more details and links to past block tutorials, checkout the Virtual Quilting Bee here. Check out these pretty blocks by Bekself on flickr. I just love seeing the variety of blocks that everyone comes up with! Another great block! Love that there are two versions! Wow, it&#39;s hard to believe those two are the same block, it&#39;s amazing the difference fabric choice makes!